Free Standing Displays Stand with 2 * 22″ x 28″ Poster Size Snap frames and 2 * 2x 8.5″x11″ Steel Shelves Double Sided. Each part is Black. Profile thickness of Snap Frame is 1″. The purpose of an advertisement display is drawing attention and strengthening the brand. 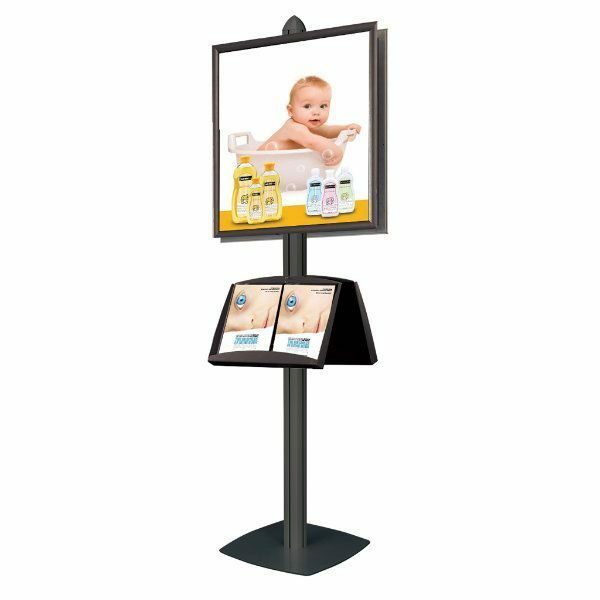 This advertisement display stand will effectively perform in large venues with its attractive appearance and double-sided display function. 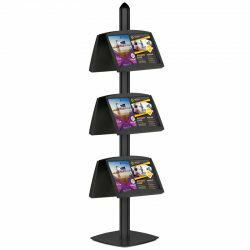 Made of sturdy aluminum with black powder coated finish, this black poster stand utilizes minimal space. 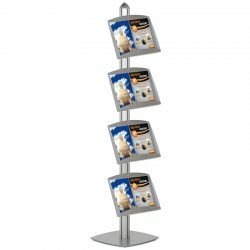 Our brochure stand has two, black 22″w x 28″h snap open poster frames and two 2 x 8.5″ x 11″ powder coated steel leaflet trays. All the accessories are height adjustable. This sign stand provides simplicity of poster change with its snap-open poster frames. 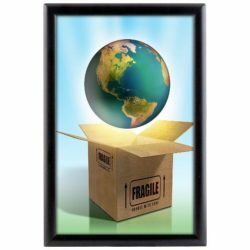 Each poster frame holds 22″w x 28″h poster and comes with a clear, non-glare lens to protect your graphics from dust, tear and wear. Steel shelves especially produced with powder coated finish to prevent chipping and scratching. Plus assembling takes a couple of minutes of one person. 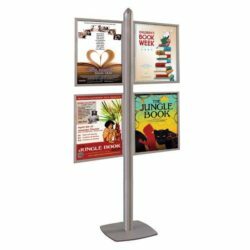 This poster stand helps enhance visibility, communicate your message and highlight your brand in large indoor venues with high foot traffic like car dealers, shopping malls, lobbies and exhibition halls and drive passerby to your products and/or promotions. A very effective way to attract greater attention. I liked this rack so much. This is a perfect way to get all those brochures and other paperwork off of the table tops.